What would you like to be when you grow up? Many of us remember that question that filled our young minds as teachers, parents and relatives prodded us in the ‘right' direction career-wise. Children are conditioned to give the right answers – pilot, teacher, accountant and so forth. Not so for these three young men – one always knew that when he grew up, he wanted to be the meanest gangster around. Another saw nothing ahead of him but life spent on the streets, while the other was a gun-wielding criminal by the time he entered his late teens. It is a testimony to the saving power of Christ and sheer determination that today, Paul “Boss” Onyango, Anthony “Tony” Mburu and Kennedy “Kenti” Kimani are not only changed, but changing lives as the prolific boy-group and multi-award winning, Men Of God (MOG). The story of this trio that brought you hits like Tempted and Zing Zing is as heart-wrenching as it is uplifting. It is a story of determination to overcome the most amazing odds to make it in life. Growing up in the Korogocho slums, their lives were filled with criminal activities common with youth in that neighborhood. Thrust early into petty theft, street life and eventually gang-related crimes, their lives were on a stereo-typical downward spiral. That was until Tumaini Church came along. The slum-based ministry specializes in reaching out to young people in slums through various activities, including sports, which is how Tony, Kenti and Boss got involved. They both confess though, that even after becoming ‘church regulars', it was only to get the opportunities that being in the team afforded them. But God would not let them go, and after awhile, they were all roped into the fold. Their love for music started to shine forth in 2001, as parts of two different groups. Two years later, they joined together and after experimenting with several names - Trouble Finishers, The Blaze, The Zoo Boys – finally settled on MOG. In 2004, they did their first recording with Sakata Music, for the track Dunda Na Love. They followed this up with Christ Superstars produced by Homeboyz, before doing Tempted and Zing Zing at Ogopa and Sakata respectively. Behind their impressive current portfolio, these energetic artists remember how difficult it was for them to make inroads into the mainstream Gospel industry. Opportunities to perform at shows were few and far between, and even then, it would only be as a favor after much pushing and shoving. They recall walking miles to get their music to radio stations, or to go to shows which they were not paid for. Nevertheless, they refused to give up and their resilience paid off when they met up with Jogg C's Lena. Their efforts seem to be paying off. 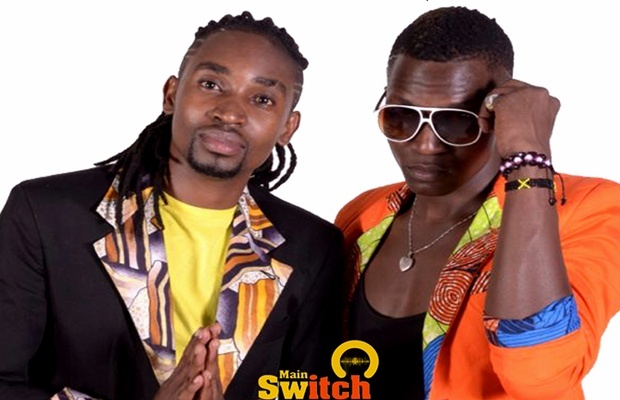 Their ragga tunes and electric performances have earned them a multitude of fans, while no gig is quite complete without their 'zing zing' dancing style rocking the stage. But far from that, the difference is being seen in their community. Children and young people in Korogocho have found songs to sing along to and role models to look up to. Youth involved in the same vices these men wallowed in are coming to them and giving testimony. And its only just began. The passion that these young men have is palpable – an unbridled desire to make a difference and stand as an example to the many young people that are not born with much opportunity or resources, and who think that nothing good can come out of their lives. MOG is a testimony that God does not consult our background when He's looking for vessels to use!